It’s obviously try that your create articles for your readers and they happy with your content. Now you need smile in your face. You created post for readers but if they don’t comment on your blog, it will really hard to know people like your post or not. In my previous articles I shared some way to increase comments in your blog posts, you can see it if you want. Now a day’s too many people doing spam comments for getting backlinks for their blog. But it’s too risky if you have spam comments in your blog posts. Google may see your blog like spammers and decrease your blog SERP (Search Engine Result Page). So we must need to avoid comment spammers and remove spam comments from your blog posts. 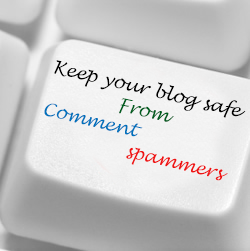 Today I’m going to share some greatest way, how you keep your blog safe from comment spammers. Why you are waiting for, start reading and get knowledge about how to protect. It’s also an effective way to stop spam comments. If you have not much knowledge about comment policy, you can see copyblogger page. What you need to do? Just create a page of your blog about comment policy and type all rules how to comment, when will your comment disapprove and etc. You can simply get more knowledge how most popular blogger’s create comment policy page. Hope this will help you a lot to keep your blog safe from comment spammers. As I shared above two strategies to stop spammers, you can use that in every blog platform. But now if you are using Blogger platform, you can’t use this steps. Spam filter is a plugin for WordPress platform. They are giving the plugin by default. It’s too easiest way to see all spam comment. Because this plugin will catch spam comments and move to spam folders. You can easily delete all spam comment by one click. This plugin will save your time and keep your blog safe from comment spammers. I've seen some people are using BOT, software, tools for commenting in blog posts automatically for increasing backlinks. It’s all black hat methods and you must need to avoid it. You are using captcha option in your blog for avoiding spam comment. Most of tools can’t break captcha and comment in your blog. So it’s a plus point to keep your blog safe from comment spammers. If you get negative feedback or comment in blog comment, don’t disapprove the comment or don’t delete it. You must need to approve the comment and make discussion. You can see more people will come to the comment and discussion with all people. It really helpful for engage your blog community. So don’t be afraid if you get negative blog comments in your blog posts. 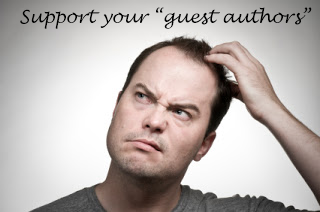 Some readers will need to know more about your topic or something you publish wrong. They will comment and try to tell you to fix the post. So it will effective for your blog. As I already told if someone give you negative comments in your blog posts. Just reply to them and fix the problem via conversation. Also don’t forget to reply their comments who ask some question to you. How fast your reply to their comment, you will get good and faster benefits from readers. If your readers don’t ask any question, you can also wish thanks or reply them for comments. It will increase your blog comments count. That’s all. I hope you can follow all those strategy if you are getting too many spam comments in your blog post. If you have any question about this topic or post, don’t hesitate to ask. Cheers. Really informative post, it's really annoying when we get lot of spamming comments. The tips are nice im gonna use it. Wow! this are awesome tips to get rid of spam comments. Thanks dude for such a helpful post. Good tips Muhammad, These are some tips that will surely gonna help to deal with spam comments. Yes Tarun, Those are useful and very effective strategy to protect blogs from Spammers. Thanks for your comment. Now days everyone wants to build more linking to their blogs but they can not understand real meaning of Comments. Comments is real discussion of author and commenter. This is a great issue we face during blogging dude.............. we regularly get spam comments....Very useful post. Thanks for sharing. Nice post with great information and I really enjoyed this post while reading. it is a nice one because it deals with an interesting ideas and information. Are you using Askimet, Spam Free WordPress, WP-reCAPTCHA, another plugin, or only moderation to filter comment spam? Spam filter for WordPress I have never heard of it before reading your post. Thanks for sharing this information with us. I will definitely experiment it on my WordPress site. Great to hear about he spam filters. Was this only for blogger and wordpress or for all blogging platforms? Spam comments will lose the quality of the website. Thanks for sharing such worthy article. This blog article is so helpful for me. I really like your post, it's very helpful article for blogger. Keep updating. I have reading your blog, it's very useful for me. keep updating... Web Designing Training Institute in Chennai | Web Designing Training Institute in Velachery. Awesome Blog..Its really nice to read and helpful article..Thanks for sharing.. Informative article..Your Blog is very helpful to me..keep updating..
Hi, really i gained more information from your post..thanks for sharing..
What will happen if we don't use comment section ? Really informative post! Thanks for taking time to share this with us. Looking forward for more. I seriously thank you for your information. I am waiting for your new blog posting..Keep posting..
Post was good and really helpful for more stuff click on the link below.